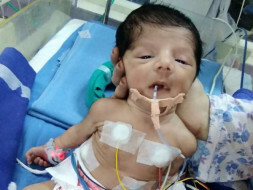 *Help my baby boy to survive*Hi,My name is Khaleeq Mohiuddin and I am raising funds for my son Murtuza Mohiuddin who is diagnosed as preterm,abdominal distension,adhesion,Urinary Tract Infection,Culture Negative Sepsis,Hypoglycemia and left side pneumonia and is undergoing treatment at Rainbow Children's Hospital. 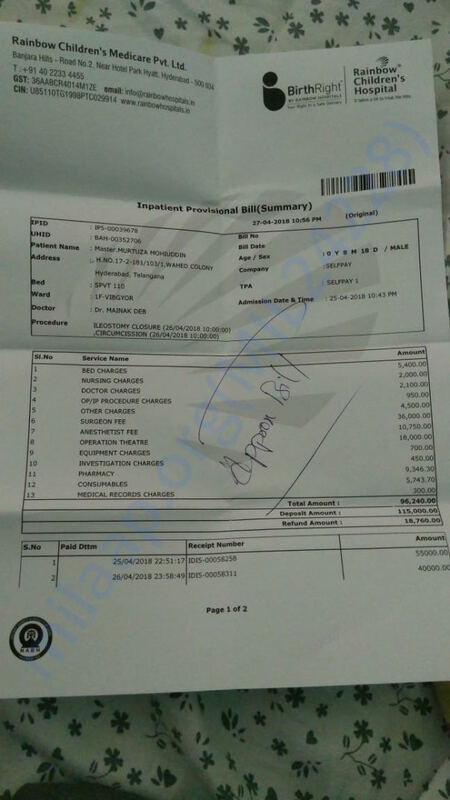 The treatment is costing us Rs.9.29 Lakhs and we need funds to continue the treatment and save his life. We are unable to pay the required amount . Please help us raise the required amount by clicking on the donate button and/or sharing this fundraiser with family and friends.We are grateful for your help! Thank you for the wonderful support that you have shown. The doctors have suggested that the next procedure on my baby's will be on April 26th . It will be for the closure of the ileostomy. Thank you for the support once again. Please do pray for the speedy recovery. Will keep you posted. Thank you so much for your valuable support. We couldn't have come this far if we didn't have your support. The baby has not yet undergone the surgery for his intestine. His recovery is taking time. 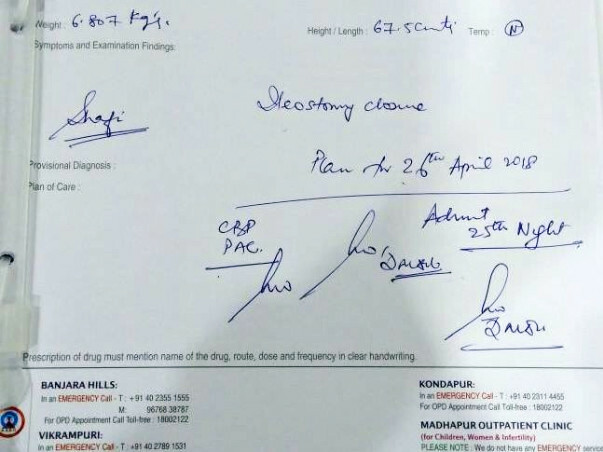 Post which, the doctors will take a call on when to do the surgery. Currently, the baby is at home. We are observing him closely for any changes. We shall keep you posted. Please keep supporting us. Thank you! Thank you for all the wonderful support you have shown towards him. He is doing better now compared to earlier. He got discharged a month back from the hospital as his health stabilized. 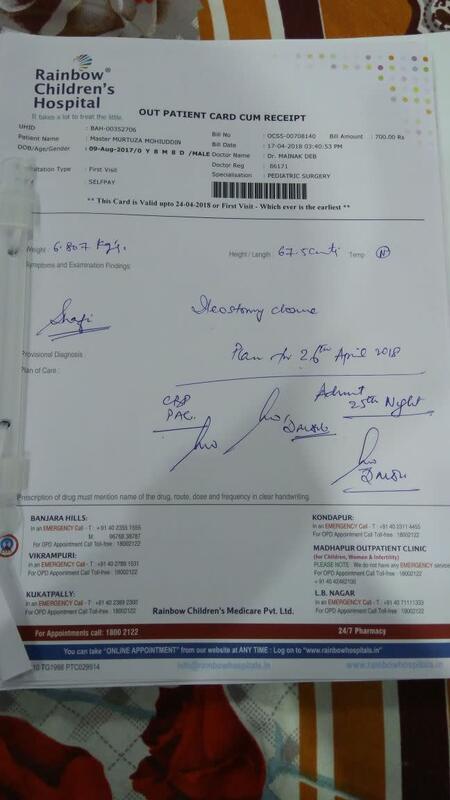 He is on medication at present and is on regular follow-ups. He has a surgery scheduled in the month of February and if all goes well he will be on regular follow-ups after that. Thank you all for all the love and support you have shown towards him. 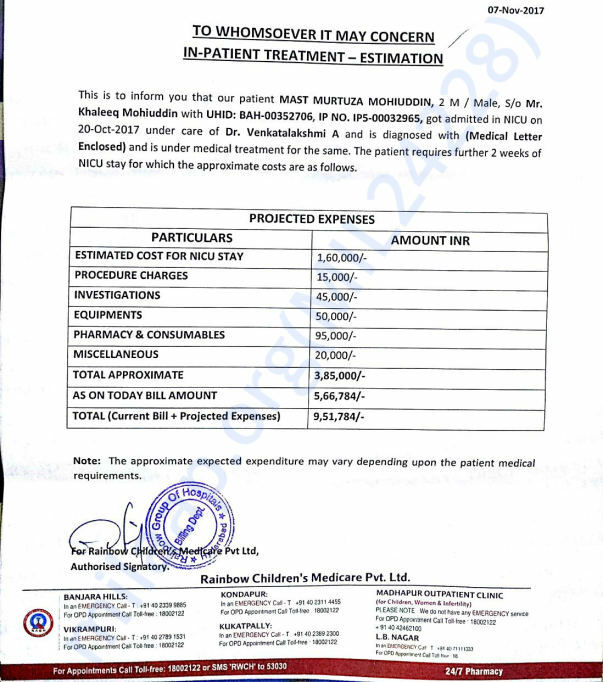 Would request you to share this campaign further with your friends and family to help us in raising funds further for his treatment. Do pray for his health and speedy recovery. Will keep you posted.